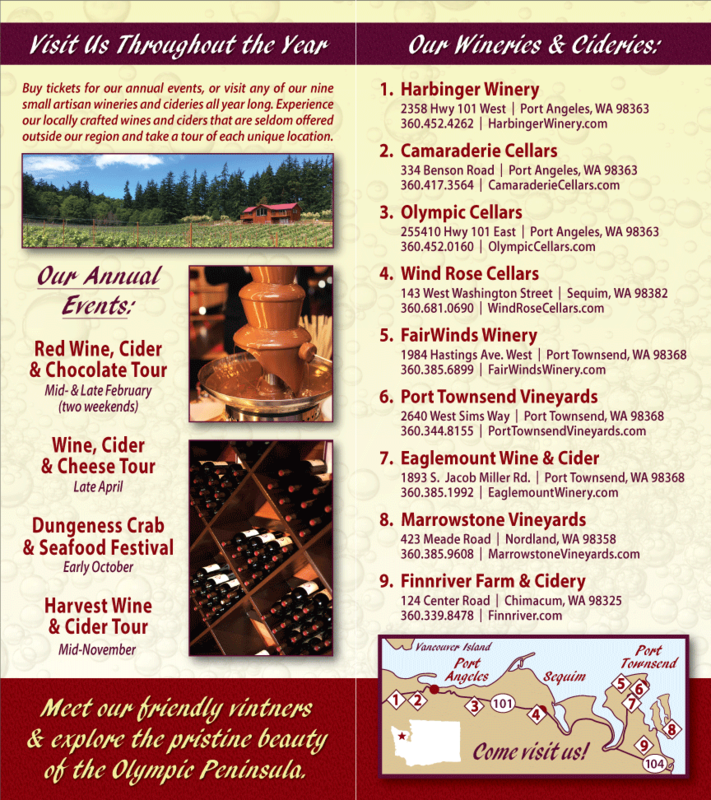 Read on for a list of participating cheesemakers, and make your plans to attend the Olympic Peninsula’s 2012 Northwest Wine and Cheese Tour. Mystery Bay Farm of Marrowstone Island. The goats of Mystery Bay Farm live a happy life on five pastoral acres. The cheese made from their milk is divine. We look forward to pairing their Chevre with several Washington State Wines from the Olympic Peninsula. Mt. Townsend Creamery taps into the rich dairy farming history of the Olympic Peninsula for its milk. The cheeses crafted in Port Townsend are products of the peninsula, through and through. Whiskey Hill Farm of Port Townsend has happy Nubian and French Alpine goats. We’re looking forward to trying their Greek Feta and Northwest King with a variety of our Olympic Peninsula Wines. The Cheese made at Willapa Hills Farmstead of Doty is blue and creamy and delicious. We know there is a perfect Washington wine to match it. Black Sheep Creamery of Chehalis makes a variety of cheeses from their sheep milk. We hope to serve their Black Sheep Tomme, a nutty cheese that goes beautifully with Syrah. Golden Glen Creamery of Bow makes wonderful cheese from milk produced by their Holstein, Guernsey and Jersey cows. We look forward to trying several of their cheddars with several Washington State Wines.